Maybe you think it’s impossible to find an affordable hedge trimmer that will help you get the job done fast, efficiently and help you effortlessly achieve the perfect garden. 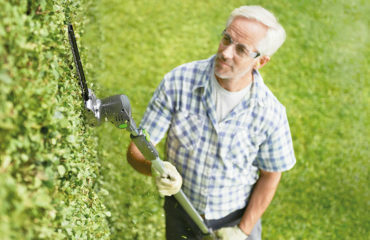 I’m here to show you how the Von Haus cordless hedge trimmer could do exactly that. 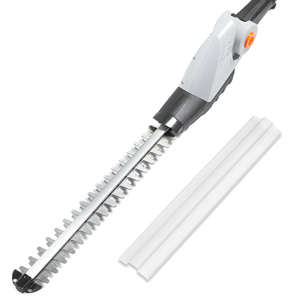 You’ll soon get used to doing things twice as fast than with any other hedge trimmer you’ve tried so far. Let’s see what makes this product superior to other similar trimmers on the market. VonHaus offers practical and high performing products that are designed and built to be used, not remain in the garage gathering dust. When you’re buying a VonHaus product, you can be sure that you’ll get a practical and useful product that will help you out in your daily tasks. There are still some people who hadn’t heard of this brand until now, and many who wish they’d heard of it sooner. Buying a VonHaus product means getting high-end technology, convenience and efficiency at the lowest possible price, but don’t just take my word for it, let’s have a look at today’s product and see what makes their products so good. What Makes VonHaus Different from Other Manufacturers? The biggest differentiator is the high standards that they place on each of their products. They always go for quality over quantity which is more than evident once you have a look through the products that they offer. What you’ll notice first is the fact that they don’t have that many different models in their product categories. They put more time into improving and perfecting each product, rather than working on several different ones. 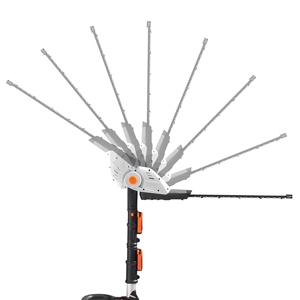 The VonHaus 20V Pole Hedge Trimmer is a cordless hedge trimming tool with a 135° adjustable and extendable reach. It has a 20V battery, 45cm dual action laser cut blades and comes with a charger, a cover for the blade and a shoulder strap. 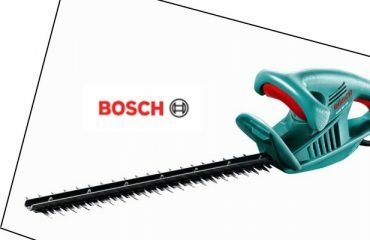 The tool is perfect for horizontal an vertical cutting, and effortlessly cuts through up to 14 mm thick twigs and branches. Its pole extends up to 2.44 metres but it’s very lightweight and suitable for every gardener to use. The hedge trimmer has a soft and easy grip and its lightweight design makes it easier to trim and clip tall and usually inaccessible shrubs and hedges. Its head can be adjusted in several different positions according to your particular needs. You can easily and effortlessly make your garden stand out with just one charge of the trimmer. Now you’re familiar with its specifications and special features, let’s see what actual users have to say about the product, so that you can have all possible information about it, and make an informed decision before you make your purchase. People seem to find this clever, easy to use tool very practical and useful and like the fact that it has minimal fuss and hassle involved. What they liked the most is the fact that they can easily trim their hedges and make their garden shine without having to use a ladder. 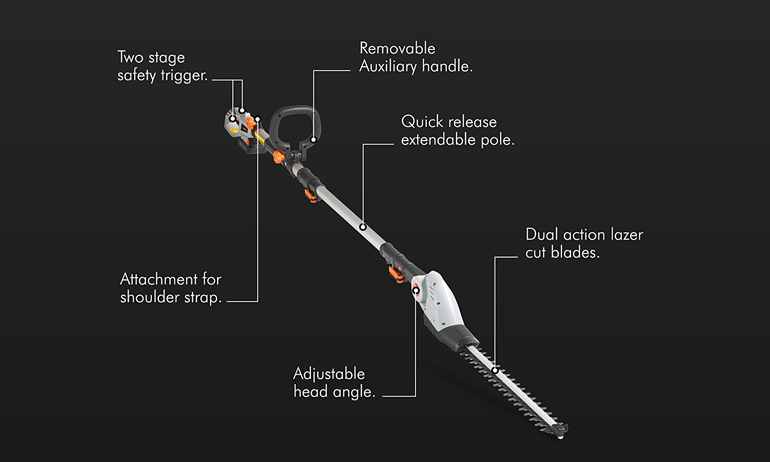 This hedge trimmer offers them the freedom to get to every corner no matter how unreachable it may seem and do it with ease. Some like the convenience it offers and the fact that it’s quite easy to set up, so that everyone can do it, no matter if they have any previous experience with hedge trimmers, or they’ve just bought their first one. Even though the battery lasts long enough to trim an entire reasonably sized garden, some say that the 30-50 minutes run time isn’t enough for them to go through their whole garden. According to me, the hassle involved with corded hedge trimmers including the limitations that come with them are not worth choosing them over a very convenient, easy to use and maneuver hedge trimmer. Although it’s pretty lightweight and weighs only 3.8 kg when extended, some people still find it a bit too heavy for them and struggle with the weight when they fully extend it. Luckily, not a lot of people have this problem, since most of them are used to working with even heavier models, and find this one quite light and easy to maneuver. It’s worth noting that if you’re a weaker, elderly or person with shoulder problems you might be better off with a lighter model such as the GTech HT20, which weighs only 2.25kg although doesn’t reach as far. 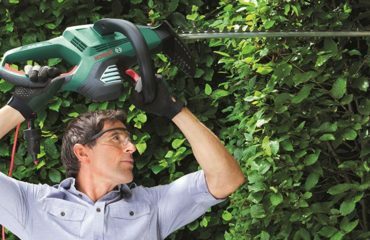 If you want a no fuss, easy to assemble, use and store hedge trimmer that will keep your hedges and your garden looking clean and inviting, then you’ve stumbled upon the right one. You’ll be able to take it with you wherever you go, and work wherever you need to, without worrying about extension cords, outlets, ladders or accessibility. A clever and efficient tool that will help you reach the most difficult corners in your garden. You’ll no longer see hedge trimming as a difficult chore, but an enjoyable activity that can be done quickly and easily, leaving you with enough time to enjoy your beautiful garden. Disadvantages: Some struggle with the weight of the hedge trimmer, which weighs 3.8 kg when fully extended.